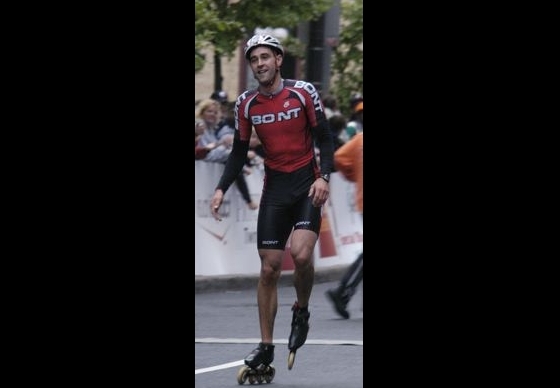 Happy Winner - Steve Robillard is all smiles as he wins the Saint Paul Inline Marathon. He finished 1 minute and 41 seconds ahead of the chase pack. His time was 1 hour, 14 minutes and 18.9 seconds. The 23-year-old from Montreal is one of Canada's top short track ice speed skaters.